Spend your time doing what you do best, which is coaching. Are you overwhelmed with the many items on your to-do list for your business? Are you unsure of which items to work on first, how to prioritize your list, or what to work on next? Are you trying to launch or grow your business, but are not able to because of all the administrative tasks that keep getting in the way? You are not a machine and there are only a certain number of hours in the day. Whether you are a newer coach and you want to put good systems in place to run your business more efficiently, or a more experienced coach that wants to put a majority of your administrative tasks behind you so you can make more money, automation is your answer. When I was building my business I had a realization one day that the little items I had to do to run my business were taking over. I wanted to start working on bigger projects such as writing books and running workshops, but I could not get to them because of the numerous administrative tasks that were sapping my time and energy. That is when I decided to automate the smaller things so I could get to the larger, more interesting projects. In order to be productive and profitable, automation is key. But even if we know that automation needs to be done, it is often the first thing to fall by the wayside especially when other items take priority. The challenge when running a coaching practice is there is so much to do, especially in the beginning. Many coaches get so caught up with running their practices, that they have no time to grow it or work on the fun stuff. Answering e-mails and updating your email lists are important, but they will not put money in your bank account. Automating your business is probably one of the most time saving things you can do. Once you are automated, a lot of your day-to-day tasks can run themselves, freeing you to take on projects you enjoy that can utilize your passion and creativity. And put more money in your pocket! How to automate marketing activities including: teleseminars, webinars, e-courses, mp3’s, videos, social media, blogging, subscription web sites, and more. Marketing is important, and once this is automated, you will have more time to be proactive to grow your business and make money. How to automate and track your interaction with clients and potential clients including prospecting, follow-up, tracking client progress, and getting paid. Tracking, follow-up, and receiving payments are vital, and once you have good systems in place, your interaction with your clients and potential customers will be easier and have more flow to them because you are no longer bogged down with administrative tasks or worried about collecting money that is owed to you. How to create a vision and workable plan for automating your business with key milestones and deliverables. Once you can see it, you can do it. How to automate with help such as virtual assistants, elance, etc. Great goals cannot be accomplished alone. No man (or woman) is an island, and when you have assistance with aspects of your business that you do not enjoy, you can focus on the aspects that you are good at and love. A workable plan for automating your business with tons of resources and examples including web sites, merchant recommendations, etc. as well as specific and detailed how-to’s to make automation work for you. Who is Leading this Course? 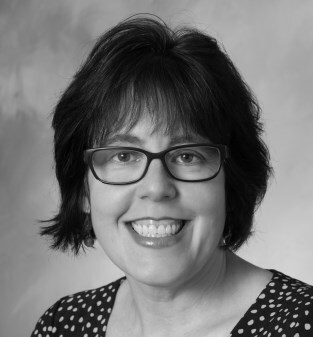 Deborah Brown-Volkman is an adjunct professor for Coach Training Alliance, teaching the Art & Science of Coaching Career Transitions program 18 times, and the Career Coaching Mastery Certification Program 4 times. Deborah is a top International Coach Federation (ICF), Professional Certified Coach (PCC), veteran coach, executive coach, career development expert, social networking expert, and author of several career, job search, and marketing books, with over 16 years of solid coaching experience under her belt. Deborah built a coaching business from scratch at a time when no one knew what coaching was. She converted a 3-year part time career coaching business (1998) into a full-time global operation in July 2001 and created a successful career coaching practice (business) out of sheer will and a desire to help others succeed both in their personal lives and in the workplace. Enroll in the Nuts & Bolts of Automating Your Business Today! Next session begins Saturday, June 18th. Both sessions are recorded and class notes are provided in the event you cannot attend live. This dynamic teleclass is held on two consecutive Saturdays for 90 minutes (June 18th and June 25th, 12:00 noon to 1:30 pm Eastern Time). Automating your business is probably one of the most time saving things you can do. Once you are automated, many of your day-to-day tasks can run themselves, freeing you up to take on projects you enjoy that utilize your passion and creativity and put more money in your pocket!